We accept a limited number of students each school year in order to provide the most personalized service possible. Our 4 PLUS Year Package (for entering 9th graders AND 6-8th graders) offers the BEST value, with a locked in fee rate through High School Graduation. Middle School students receive complimentary guidance services through grades 6, 7 and 8. The sooner we begin planning for your future, the better! Our ﻿3 Year Package﻿ is a great value, and offers an increased ability to plan for, select, apply and gain acceptance to the college(s) of your choice. 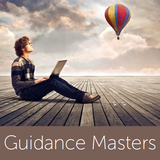 Included is a locked in fee rate for 3 years, and unlimited access to Guidance Masters professions via email or text. High School Junior and Senior years are chock-a-block full, with ACT/SAT testing and college application processes in full swing. Our 2 Year Package covers it all. We also offer AL A CARTE Yearly Packages. CONTACT US today to choose your College Planning Package.